Although there were once worries that books would be completely replaced by its digital counterpart, the eBook, book sales have been growing with eBooks falling out of favour with the consumer. With this renewed public interest in books, this could be the ideal time to finally purchase the business you have always been dreaming about: a bookshop. We asked bookshop owner, Tan Dillion about his experience buying a bookshop. "I'm a people person; you have to be a people person to work in the retail trade. I could imagine working in a normal store, but you've got to be prepared to be nice to people. "You've got to be prepared to deal with people who are a bit rude to you. You have to be able to handle complaints and queries. You need a lot of patience." "I had some savings that I had built up, so that went into the business. I took some money from my mortgage, which went into the business. "Small loans as well, only paying around 3% interest. I've stretched the mortgage as far as it can go, so if things do go pear-shaped, if worse comes to worst in a year or two, I could still meet my payments by doing an ordinary job somewhere." Buying a business is not something that can happen in a rush. 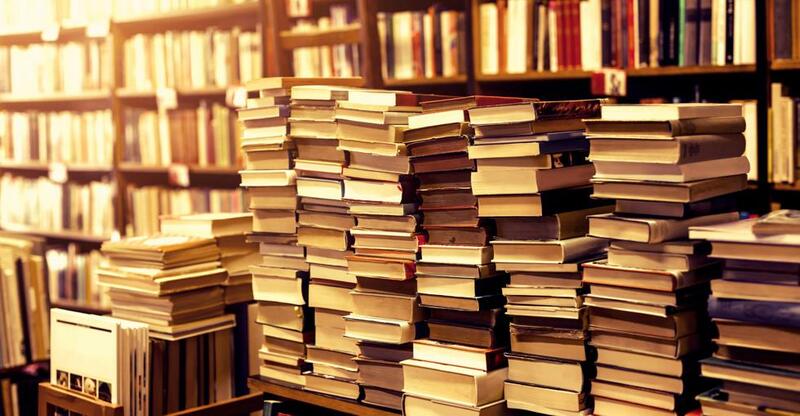 You will need to be prepared for months of inspections and negotiations if you are going to be able to get the right bookshop at the right price. "There were a few issues. It took us about four months from September to January to conclude the transaction, from my first offer to the survey and all the paperwork and everything. "Firstly, we had to agree on the price. That was an obstacle, but that was out of the way fairly smoothly. "The main part of the delay was the paperwork between three sets of solicitors: you've got the landlord's solicitors, you've got the purchaser's and the buyer's solicitors. "It's better to get things right, or better to get what you want rather than rushing into something you might regret later." Buying a business is just the beginning. The handover of the business and the first few months of trading will be a stressful learning curve that it will help to be prepared for. "The first few months it was really intense, learning everything. "The previous owner helped me for the next few weeks. She was firing off a million bits of information, expecting me to remember it all, so it was quite intense. "It was hard getting to know all the different suppliers - we have over 5,000 titles here - different books, different customers - some customers expect you to remember what they want - so there's a lot to learn." "You have to sometimes just say "right, if I don't do it now..." I took a big chance financially: I borrowed a lot of money, I've got a mortgage to pay, loans to pay, I've got a couple of kids as well, so it's a challenge, but sometimes you've just got to take these chances.